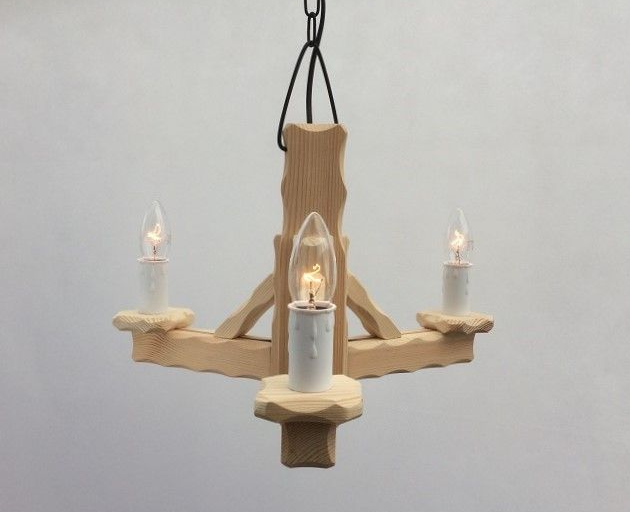 This hand-made rustic wooden pendant ceiling light is part of our Natural Pine range of rustic pendants and wall lights. This range of lights do not have any finish applied to them hence the "Natural Pine" name. This gives you the option of staining or painting to add your own personal finish or you could just leave the light fitting to age and change colour naturally over time. Requires: 3 x 60watt (max) bulbs. Note: If you would prefer a B22 Bayonet Cap style lamp holder/bulb holder on this light fitting. Please leave a message with your order. 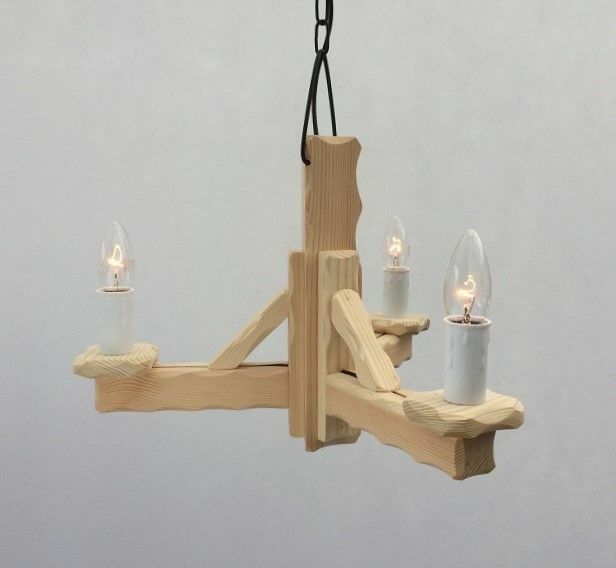 We are the home of rustic wooden lighting and based in the beautiful county of Lincolnshire, we specialise in the making of traditional Rustic wooden light fittings, ranging from wall, ceiling and cartwheel lights. Our lights are an ideal way of adding that country cottage finish to your home, whether it be a period or modern one. Along with homes, cottages & barn conversions... we supply Restaurants, Pubs and the T.V. & Film Industry, so you can buy with confidence.